Anytime is taco time! Try Old El Paso™ Stand ‘N Stuff™ mini bacon, corn, egg and feta Mexican brunch taco today! 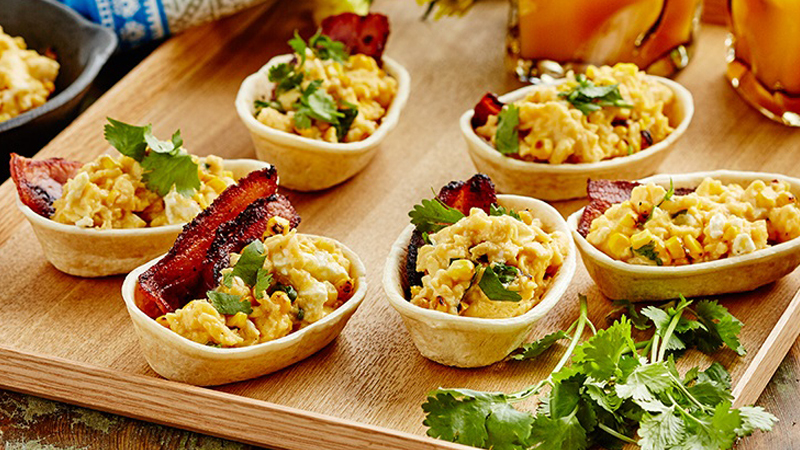 Let the guests fill their warm Mini Tortillas with scrambled egg, bacon and top with coriander. Serve with plunger coffee or fresh fruit juice for the perfect brunch.